I've been blogging for 11 years already and it has opened new worlds for me. From just writing as a hobby, blogging widened my network and introduced me to companies that would pay me to write. And since I'm on 24/7 mommy duty, I would always bring work wherever and whenever. Thus, from the bulky desktop, I moved on to using laptops because of its convenience. Aside from its powerful specs, other things I would look for in a laptop are its weight and its aesthetics. You wouldn't normally find all these three bundled in one laptop but the Asus ZenBook UX305LA has it all. Yes folks, presenting... Asus ZenBook UX305LA, the perfect combination of power and elegance in a laptop. Ultra-powerful performance care of Intel's 5th generation Broadwell Core i7. 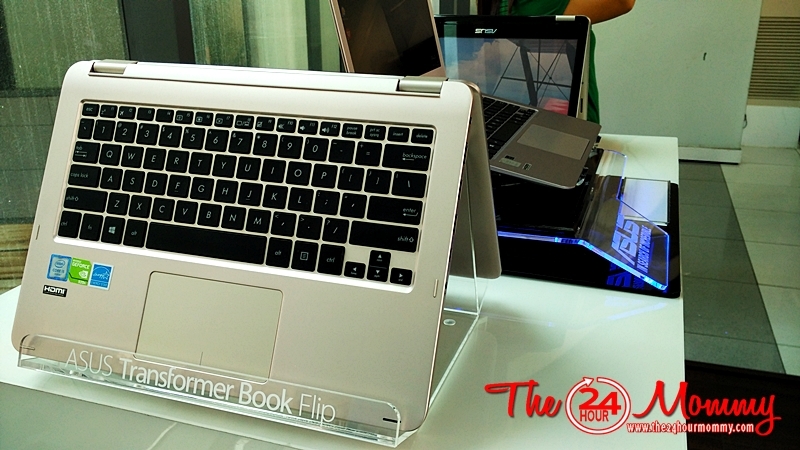 Ultra-thin and ultra-light weighing only 1.3 kg and it's thinner than the New MacBook at only 1.6 cm thin. It's the world's thinnest QHD + 13.3-inch laptop! Ultra-clear display with a 13.3 inch IPS display with QHD+ 3200x1800 ultra-high resolution. Ultra-stylish and chich with units available in Aurora metallic, obsidian stone (black), and metallic white. Ultra memory with its 512 GB SSD. Ultra mobility (I coined this myself, haha!) because of its incredible 12-hour battery life. All these I discovered at the recently held Asus Incredible Workshops that I attended along with other lifestyle and tech bloggers. The first installment of the workshop was on fashion which was aptly facilitated by no other than blogger and style icon, Victor Basa. I'm no fashion blogger but I totally enjoyed Victor's insights on creating one's personal style. I was surprised that everything he said was familiar to me, haha! Thanks to my 16-year old boy who is actually updated in what's hot and what's not. Aside from the Asus ZenBook UX305LA, I also got acquainted with the Asus VivoBook Flip. It was a sight to behold! It's just a bit heavier than the ZenBook and a bit thicker at 19.9mm. I can just imagine the things I can do if ever I get to update to the Asus VivoBook Flip. Hmm... I can write for an hour or two, then flip it to a stand mode to watch my GOT episodes while unloading my brain for the next writing task (oohh, palusot!) And all these I can do even on the go because of its superb 10-hour battery life! I'm looking forward to the next installments of the Asus Incredible Workshops because I really had fun with this one. Stay tuned for news about that. For more update on the Asus ZenBook UX305LA and other Asus products, follow Asus Philippines on Instagram and Twitter (@AsusPH) and on Facebook (facebook.com/ASUSph). 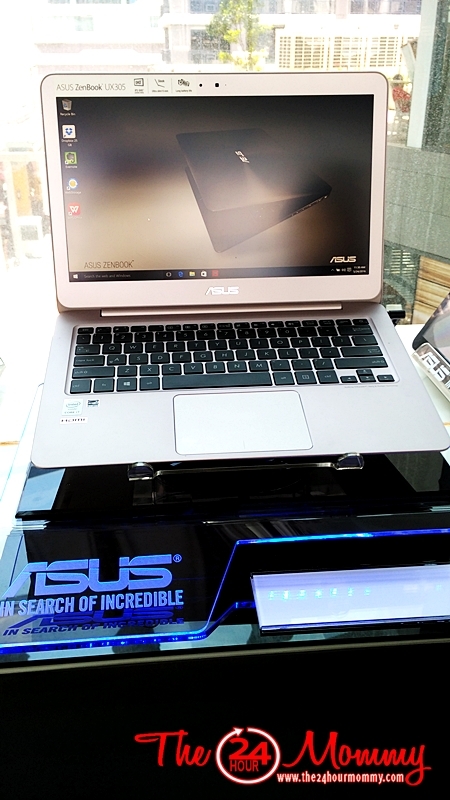 Love this new Asus ZenBook UX305LA, it's really for people on the go and make your day easier. Sometimes, I have to plan about getting a new one when you have already in your possession. But without financial constraint, this one is great indeed. I'm impressed with the asus zenbook. It's really compact and powerful. Good review. I will consider buying one. Thank you so much!